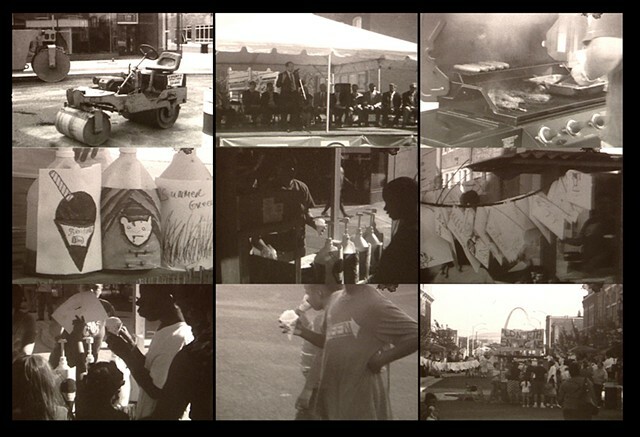 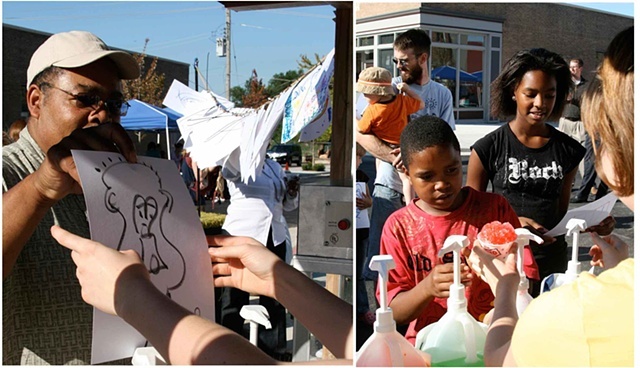 On July 29, 2010, artist Juan William Chávez led a performance for the grand opening of the Crown Square in Old North St. Louis. 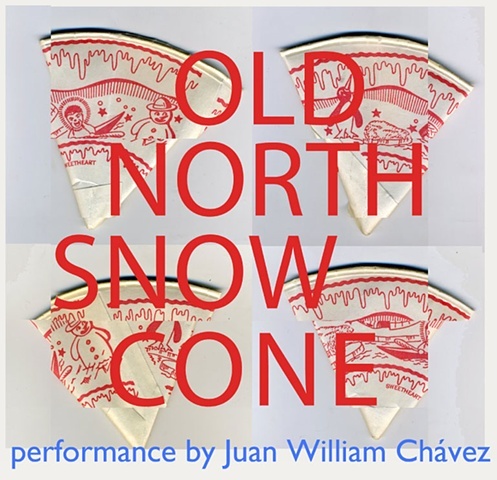 The performance was a snow cone stand in which Chavez asked members of the audience to create a drawing in exchange for a snow cone. 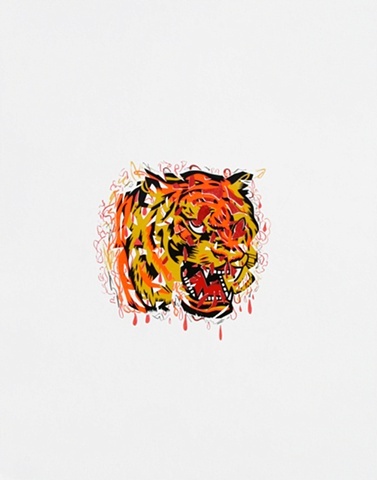 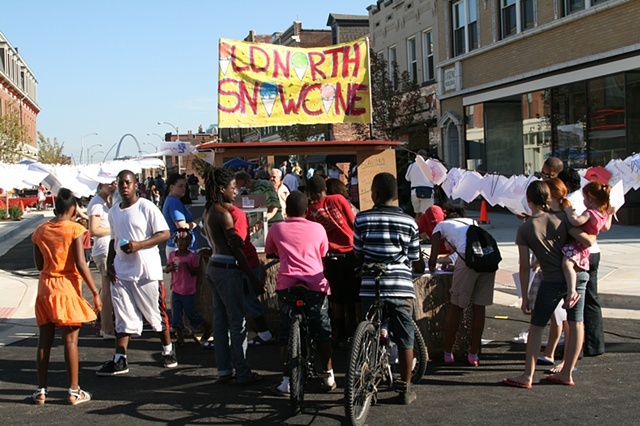 In addition, Chavez incorporated snow cone drawings that were created during a workshop with children from the Old North neighborhood. 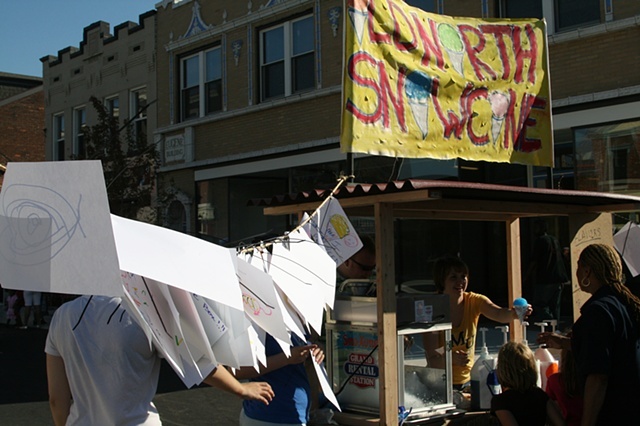 Chávez worked with education and program consultant, Kathryn Adamchick, to create a workshop that focused on snow cone culture and its relationship to the community. 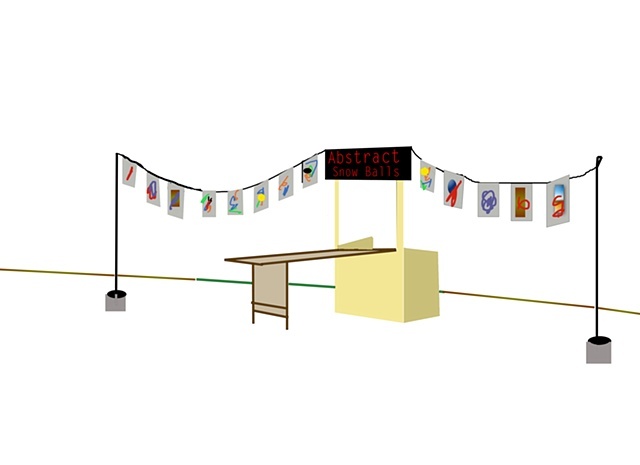 The children viewed a slide show of various snow cones from cultures around the world. 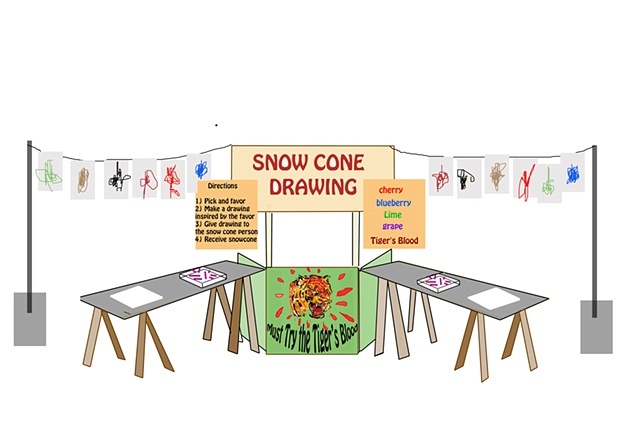 After they finished examining unfamiliar flavors and seemingly strange practices, like sprinkling chili powder on a snow cone or topping it with kidney beans, they had the opportunity to design their own snow cone flavors. 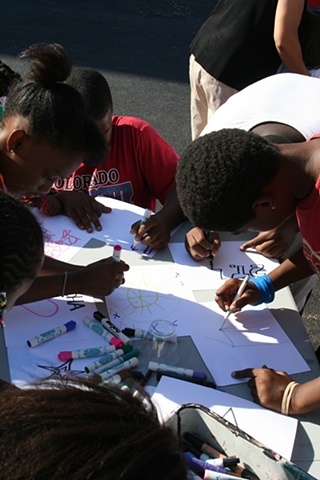 The workshop concluded with the children sampling some of the exotic fruits and flavors they saw in the slide show such as fresh mango, guava juice, and hot pepper jelly. 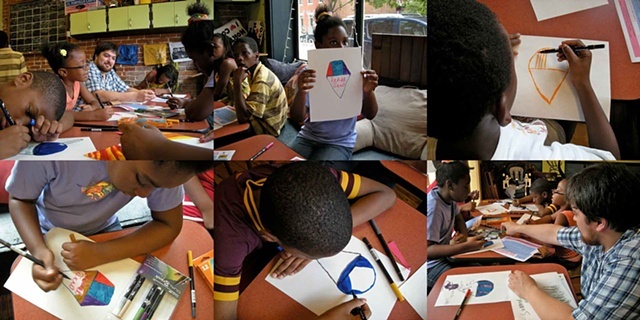 The workshop took place at the Urban Studio Café.